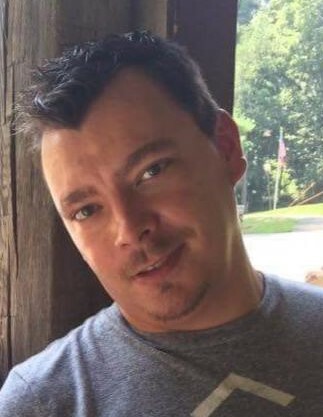 Obituary for Larry "Dani" Shultz Armagost | Family Care Services, Inc.
Mountain House, CA- Larry “Dani” Shultz Armagost, age 33, of Mountain House, CA., formerly of Columbiana, died suddenly on Monday, September 3, 2018 at his residence. He was born on December 19, 1984 in Salem, OH, the son of Priscilla McFarland McLaughlin. Larry will be remembered as a man who lived for adventure. He enjoyed traveling the country with his husband Jason and camping. He was a kind-hearted man who found great joy in helping others and loved meeting new people and making new friends. Larry also had a passion for cooking. However, one of his favorite past times was spending time with his family and his two beloved dogs, Mia and Bailey. He is survived by his husband, Jason R. Armagost, whom he married on December 28, 2016; a son, Damon Sipe living at home; his mother, Priscilla (Randy) McLaughlin of Columbiana; sister, Candi (Wayne) Davis Sr. of Columbiana; nephew, Wayne Davis Jr. of Columbiana, and his mother-in-law, Barbara (Ken) Yarchuk of Leeper, PA. The family will receive friends on Thursday, September 13, 2018 from 3:00 p.m. – 6:00 p.m. at the Warrick-Kummer-Rettig Funeral Home, Columbiana. Funeral services will be held Thursday evening at 6:00 p.m. at the funeral home with Pastor Kari Lankford officiating. It would have been Larry’s wishes that friends and family dress casually for the services. In lieu of flowers, donations may be made in Larry’s name to: Angels for Animals, 4750 South Range Road, Canfield, OH 44406.